01. Remove the prosthesis of the fixture and the surrounding bone. 02. Select a fixture remover screw of the same size as the fixture internal screw. Use the Trox Diver to turn the screw clockwise (40Ncm – 70Ncm) to place in the fixture. 04. Fixture and Fixture Remover are tightly connected as rising force and descending force are combined. 06. Removed fixture can be pulled out turning Fixture Remover and fixture clockwise, holding onto vice plier. Can use for abutments that use M1.8 & M2.0 screws. 01. Insert the Abutment Remover in the fractured abutment hole. 03. Move the Abutment Remover sideways while pulling up to remove it. 04. Secure the separated abutment in a vice or vice pliers. 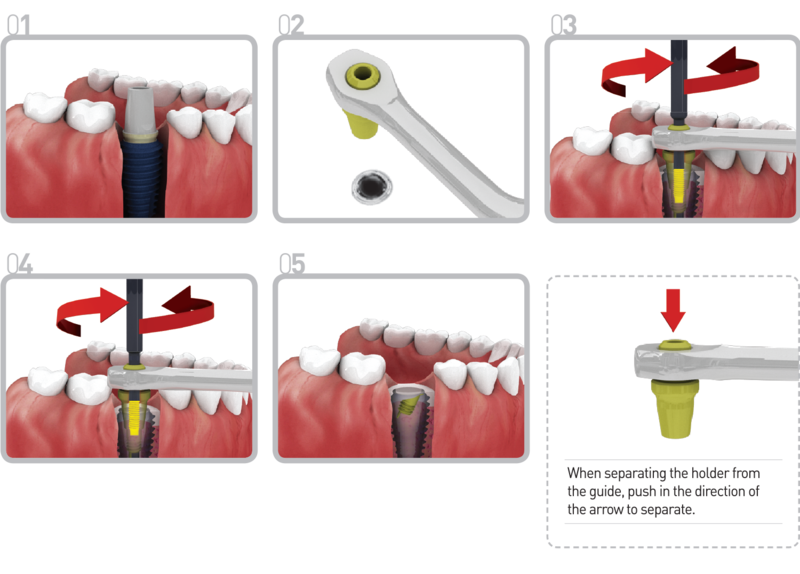 Use the Ratchet Wrench to turn counterclockwise to separate the abutment with the Abutment Remover. 01. Remove the broken Abutment Screw and the abutment. 02. Select the correct Screw Remover Guide that fits the fixture connection to join. 03. Secure the Screw Remover Guide and insert the Screw Holder in the Screw Remover Guide hole. 05. Remove the pieces of broken screw from the fixture internal screw using forceps. 01. 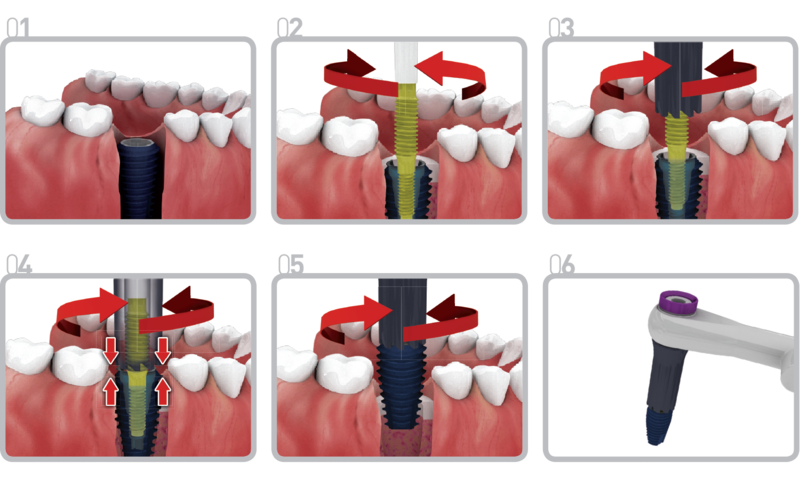 In case Abutment Screw, Cover Screw or Healing Abutment’s hex is fractured. 03. Place the removed abutment in the vice. Use the Ratchet Wrench to turn clockwise to separate the abutment with the Hex Remover.